If you’ve been to one of the 74 Cibo Express Gourmet Markets in OTG’s 10 airports, you’ll notice something immediately: this isn’t your grandmother’s airport news and gift shop. While you’ll see some familiar items in Cibo Express, you’ll also see curated items that either showcase local food and retail brands or offer a fresh twist on traditional items. 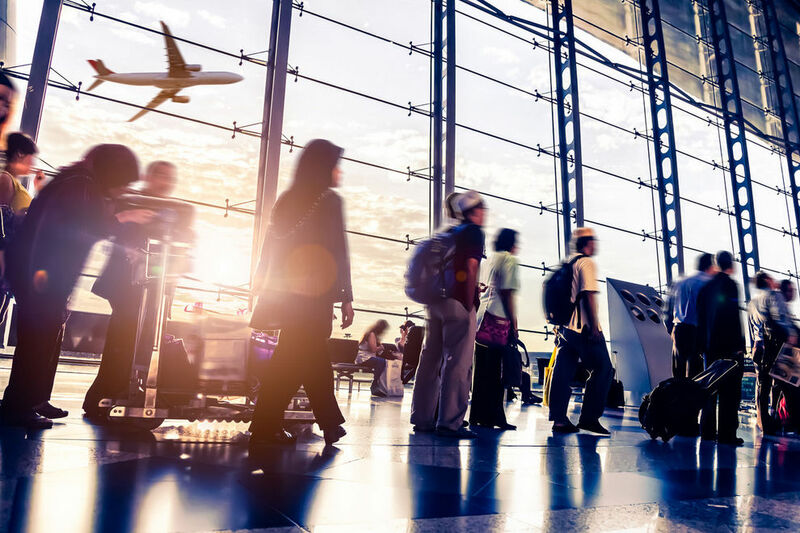 Bringing these unique brands to the airport is the job of OTG’s Market Team. Below are 10 locally sourced items you can find in the airports served by OTG. Why get your usual candy bar when you can buy a Moderne Chipotle Chocolate Toffee bar instead? The brainchild of founder, chocolatier and President Joan Coukos, New York City-based Choclat Moderne was founded in 2003 to create luxe gourmet treats using the finest ingredients in the world. She has a knack for putting together interesting and unique flavor profiles, such as the white chocolate passion fruit bar. Her chocolates are featured at the Newark-Liberty International Airport Cibo Express in United Airlines’ Terminal C near Gate 93, near the security checkpoint and at Gate 131 near the Food Hall. This Austin, Texas-based company partners with nonprofit Open Arms, which empowers refugee women by giving them jobs with a living wage, to create cool, hand-waxed items including canvas totes, crossbody bags, dopp kits and cosmetics pouches that are perfect for both travel and everyday use. Not only are the products great, they fit an important niche for OTG: offering great gifts that are functional and don’t look like a typical item bought in an airport. See Newton Supply Company’s products at George Bush Intercontinental Airport’s Terminal E at the Cibo shops near Gates 10 and 24. Katherine Anne Confections began making her sweets in Chicago in 2006. She creates hand-dipped truffles, soft honey caramels and handmade marshmallows. She emphasizes using locally sourced ingredients, including cream from a herd of Jersey cows in central Illinois and local wildflower honey that replaces corn syrup. The company was discovered when OTG’s team was researching companies to improve local representation at Chicago O’Hare International Airport. Find Katherine Anne Confections in Terminals 2 (near the Transportation Security Administration and 3 in the main halls). What if you could have great-tasting chips without the fat, calories or artificial ingredients of traditional potato chips? You can with the flavors offered by this Houston-based chip producer. Run by the family of President Rashim Oberoi, Simply 7 Chips offers veggie, kale, quinoa, hummus and lentil — all with ingredients that anyone can read and understand. The chips are a good alternative to heavier food, filling the needs of a person who wants a savory snack treat but are also conscientious about the ingredients they eat. Get yours at George Bush Intercontinental Airport’s Terminal E at the Cibo Express markets near Gates 10 and 24. This North Branch, Minnesota-based granola producer focuses on creating bars that are non-GMO, non-trans fat and wheat and dairy-free. The bars, a good source of fiber and protein, come in delicious flavors including Honey Almond, Espresso Almond Chocolate and Turtle Mocha. 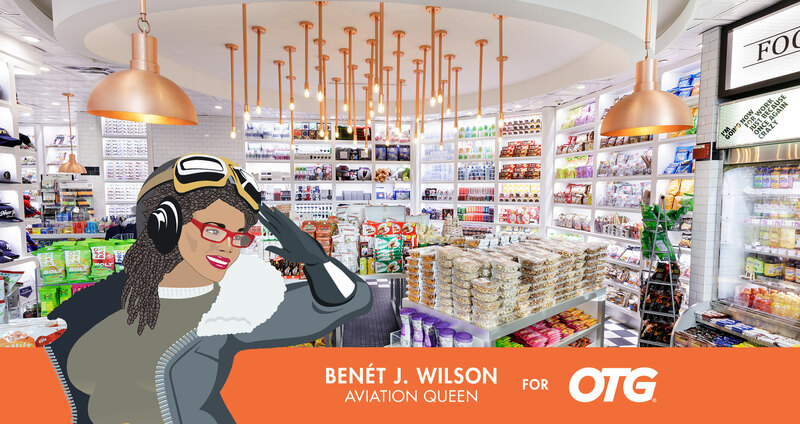 The company was one of the first OTG tapped when it was putting together its Minneapolis-St. Paul International Airport program five years ago. Get your bars at Minneapolis-St. Paul International Airport’s Concourse G at Gates G1-23. This Philadelphia-based company, created by a husband-and-wife team, finds reclaimed materials from places including flea markets, abandoned houses, torn-down buildings, construction sites, yard sales and dirty basements. Those materials are transformed into items including bags, jewelry, workspace organizers and journals. Opened in November, the store was an immediate hit with Philadelphia airport travelers. See select items from the Peg & Awl collection at Philadelphia International Airport’s Terminal B at the B2 Cibo Express market. As kids, many of us loved toaster pastries as a treat for breakfast or an after-school snack. So what’s not to love about this grown-up version of your childhood treat, as imagined by founders Meghan and Paul? 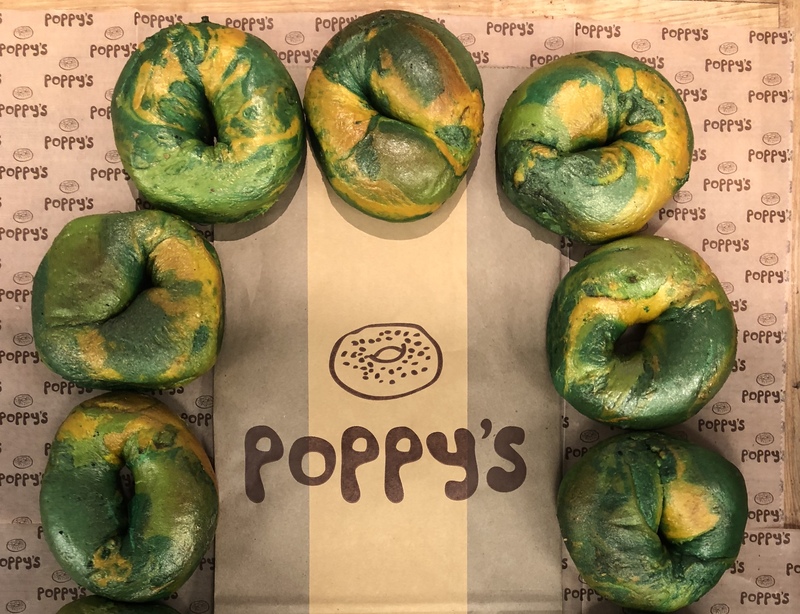 Megpies were invented in 2012 and sold as on-the-go breakfast pastries to Brooklyn commuters that are now sold at Starbucks. They are featured in Cibo Express’s packaged bakery section and in select World Bean Coffee locations. Find yours at Newark-Liberty International Airport’s Terminal C.
Created by three friends after tasting delicious craft jerky during a ski weekend in Vermont, this gluten-free and nitrates-free product comes in flavors including sweet and spicy beef, cracked pepper turkey and maple BBQ pork. The jerky has no preservatives, no MSG and no corn syrup. OTG found this Brooklyn, N.Y.-based brand three years ago just as it was getting started. Get your jerky at Newark-Liberty International Airport’s Terminal C at any Cibo Express location. During a visit to OTG’s operations in Newark’s Terminal C, I saw a Cibo Express was selling taffy made by this Brooklyn-based company. Marisa Wu founded the company in 2011 after not being able to find locally made taffy at New York’s Far Rockaway beach. So she decided to make it herself, using natural flavorings like real vanilla beans, fruit purees, spices and large-grain sea salt. The OTG team thought Salty Road was a great modern spin on salt water taffy, with fun flavors and great packaging. Get your taffy in the Global Food Bizarre in the C1 concourse. Texas is known for producing great hot sauces, so it only made sense to have this award-winning, Houston-based company represented at Cibo Express shops at George Bush Intercontinental Airport. Available flavors are Crimson, Pineapple & Habanero, Jalapeno and Green Apple, and Ghost Pepper & Blueberry. These are more gourmet-style hot sauce with good flavor profiles and quality ingredients. Find them at George Bush Intercontinental Airport in Cibo Express markets in Terminals E and B, and soon landing in Terminal C-North. 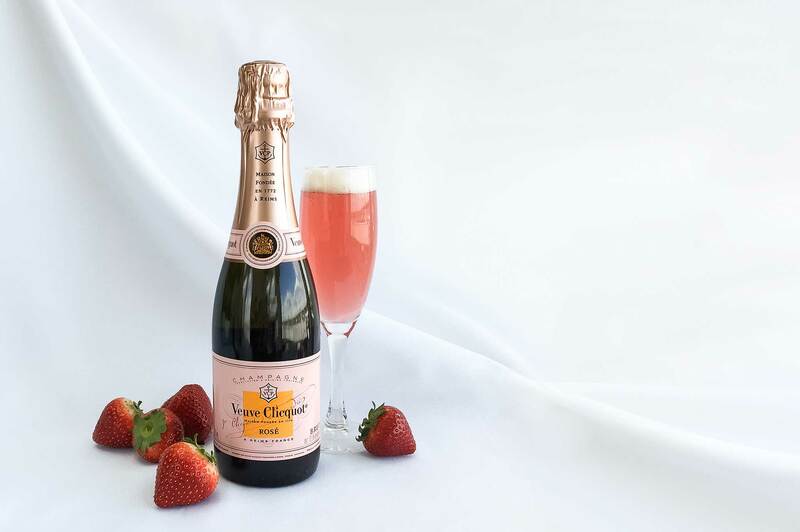 Pop Some Bubbly this Valentine’s Day preFLIGHT Whether traveling solo this Valentine’s Day, or embarking on a romantic getaway with your significant other, indulge in a glass of Veuve Clicquot Rosé.